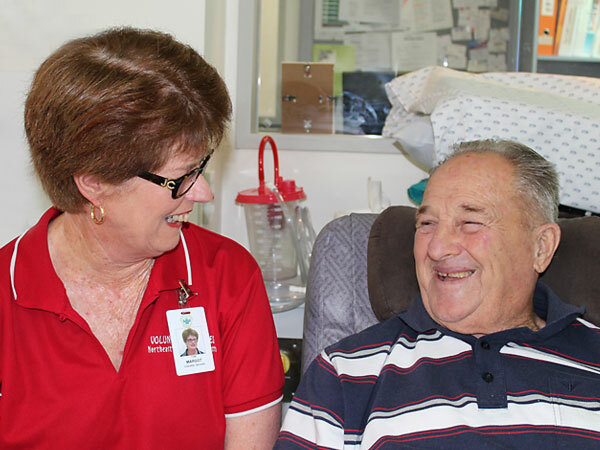 Our team of more than 300 volunteers provide invaluable support and assistance to families, patients, residents and staff at Northeast Health Wangaratta. Our volunteers give their time freely to support our organisation and their local community. People of all ages and from all walks of life become volunteers. Volunteering can provide a sense of purpose and meaning, keeping you connected and engaged with your local community. We are always on the lookout for different interests that people would like to incorporate into our program. Contact us to chat about how you can make a great contribution to Northeast Health and your community. In addition to our permanent volunteers, a number of service clubs, students, local community groups and individuals also volunteer for fundraisers, special events, and projects. Fairness – We promote equality and fair access that is sensitive to individual needs.